Chief Executive Officer Jim Moran is the Chief Executive Officer for First International Title, Inc. The 27-year veteran of the title insurance business started First International Title, Inc. in 2009. 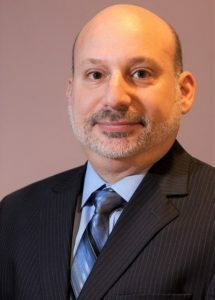 A Long Island, N.Y. native, Moran graduated from SUNY Brockport (N.Y.) in 1986 with a BA in Business and he went on to land his first industry job in 1987 at First American Title Insurance as an Auditor. Moran accepted a position with Fidelity National Title Insurance in 1990 as an Agency Representative and in 1991 he became a Branch Manager of Fidelity National Title’s Riverhead, N.Y. Branch. He relocated to South Florida in 1995 to run their South Florida Direct Operation. In the summer of 1998, Moran accepted a position with First American Title to open direct offices in Miami-Dade and Broward Counties, eventually running First American’s direct offices from Fort Pierce to Key West. It was during this time period, he began to put the pieces together on how to open branches and grow a title insurance company. Faced with corporate changes and a declining market, in late 2008, the decision was made to start First International Title, Inc.
First International Title marked its fifth anniversary in 2014, during which time it has become the largest independent title agent in Florida. The company has grown from a handful of offices to 25 offices throughout the state (from Key West to Pensacola), including its company headquarters in Coral Springs, Fla. According to Moran, the foundation of First International Title is a team of title professionals (there are more than 150 full-time employees on staff) with many years of experience and local expertise. 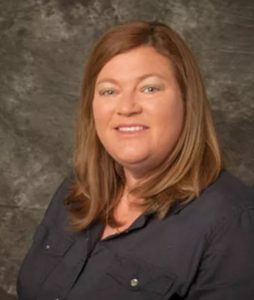 Vice President, Operations Lisa Walt has been the Operations Director and Area Manager for First International Title, Inc. since 2009. In addition to her responsibilities of internal auditor and compliance officer, Walt is the “right hand” person for First International Title’s CEO Jim Moran. She manages branch escrow operations and is the area manager for seven of the company’s branch offices. With the CFPB changes affecting the title insurance industry, she is kept very busy with staying on top of any information surrounding the CFPB and how it will affect the future business for First International Title. Walt began her title insurance career with Fidelity National Title in 1991 where she spent five years as a Special Projects Supervisor, Escrow Account Reconciliation Manager, Trainer and East Coast Direct Operations Escrow Accounting Manager. Following Fidelity National Title, Walt owned her company – Southern Reconciliation Services – for 13 years. During that time she worked closely with Underwriters and Agents as she provided escrow reconciliation services for independent title agents, provided support for escrow issues and audited escrow accounts. 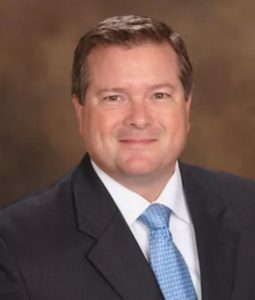 Vice President John Sthreshley is Vice President for First International Title, Inc. 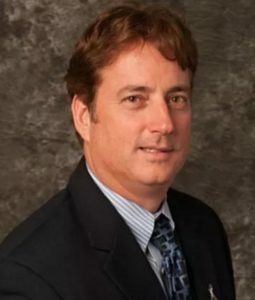 He has been with the company since its inception in 2009.A Bradenton, Fla. resident, Sthreshley has more than 25 years of proven management, personnel training, sales and strategic territory development in the highly competitive financial solutions industry. Sthreshley joined First International Title after 12 years with First American Corporation where he was a District Manager, Strategic Account Executive and a Senior Account Executive. While Senior Account Executive, Sthreshley provided a strategic alliance and analytical property data solution to federal government departments, while managing a portfolio of national accounts. At First International Title, one of Sthreshley’s main responsibilities is management of half of the company’s branch offices around the State of Florida. Sthreshley has been connected to the real estate/building industry since his graduation from Mary Baldwin College in Staunton, Va. Prior to First International Title, Sthreshley also had employment stops at Transamerica Intellitech and Virginia Builders Supply where he was a Regional Manager and Operations Manager, respectively. Chief Financial Officer Nicole Chong is the Chief Financial Officer for First International Title, Inc. She has been with the company since May of 2013.A Fort Lauderdale resident, Chong’s main duties include strategic and financial analysis as connected to revenue, budgets, trend analysis, profitability and variances. Additionally, she oversees the accounting and collections departments, manages relationships with outside accountants and banks and assists with business development. Chong landed at First International Title following an almost three-year stint as Finance Manager with Choice Legal Group. During that time, she was credited with increasing billing revenue by 200 percent. 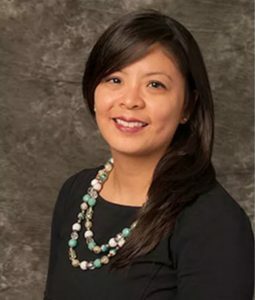 Holding a BA and Masters in Business Administration from Florida Atlantic University in Boca Raton, Chong began her business career with After School Programs, Inc. in Deerfield Beach where over a nine-year period she moved from being a Counselor to Grants Manager. Chong also recorded employment stops at Interval Servicing Company and J&M FL Viking, Inc. before moving to Choice Legal Group to initially fill the Accounts Payable Manager’s role. Chong was recently appointed to the Fort Lauderdale Chamber of Commerce Board of Directors and as of August 2015, a member of the BB&T Payment Solutions Advisory Board. 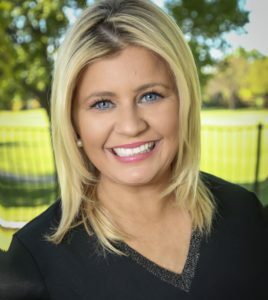 Sales Manager A graduate from Nova Southeastern University with a BS in Business in Professional Management in 2006, Sara entered the title industry as a sales executive, leaving in 2008 to become a Licensed Financial Specialist with Wachovia. In 2011, she became a Level 3 store manager for Wells Fargo. She joined Fidelity National Title in 2013 to create the investor division working hedge funds as they began their acquisitions in the state of Florida. After creating the investor division, she became the Sales Manager for the Eastern Division on Fidelity National Title of Florida. Chief Information Officer David is the Chief Information Officer for First International Title, joining the team in June of 2016. A graduate of Stony Brook University with a degree in Computer Science, David has nearly twenty years of experience in the title and settlement industry. Beginning his title career with the largest title agency in New York, David led a team in building the first cloud-based paperless Transaction Management System in the industry, fully integrated with lenders and exchanges. Continuing with Fidelity National Title, David was responsible for IT operations across New York State direct operations implementing compliance and governance policies, increasing virtualization, security, automation and standardization.